Whether its a small group of friends or a major convection no gig is to big or small for our fun friends. The Insect Asylum is perfect for birthday parties, art events, conservation expos, home school groups, boys and girls clubs, photo shoots, the list goes on! The fact is everyone bugs out about our awesome collection. The sky is the limit for us, You bring the guests we bring the fun!!! The Insect Asylum is a collection of over 4,500 taxidermy insects, and is one of the largest privately owned collections in Illinois. We have insects from all over the world, and they date from 1910 to the present. In stillness and with the artistry of posing, you can appreciate the amazing details, colors, and textures that inspire collectors past and present. A specimen is the body of an insect and also the time and care someone put into it, sometimes over 100 years ago. We continue that care today, to ensure that all our specimens are carefully stored and beautifully preserved. 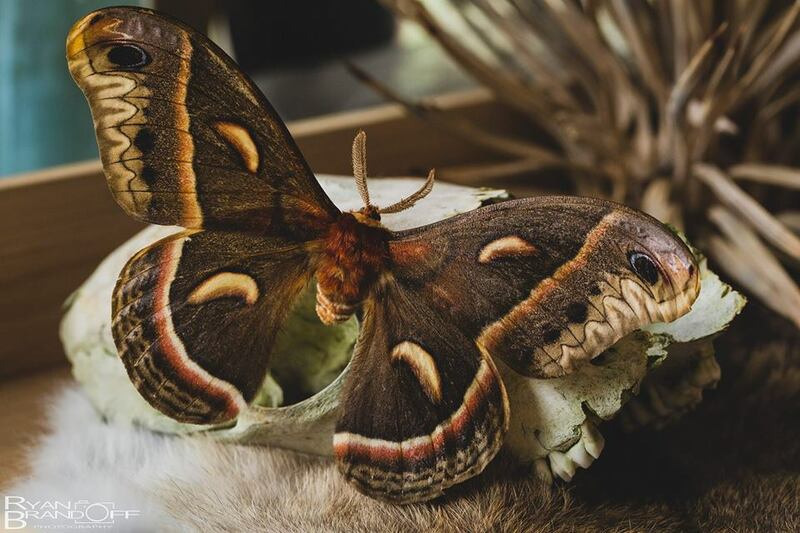 The goal of our organization is to preserve these delicate creatures obtained from other artists and entomologists who have since passed or moved onto other projects. By keeping these items together we are maintaining their integrity and protecting them from being sold off to unqualified collectors where they could be damaged, destroyed, or forgotten. Our mission is to create setting for all to come view and appreciate this work and to learn how to get involved to better the environment at the same time. We specialize in pop up viewing practices, and would be happy to come to your space for a showing. Showings can take place in a variety of venues and are appropriate of guests of all ages. We tailor showings to the needs of our clients from the number of specimens we bring to supplemental activities. Showings are a great for educational classes, art appreciation, or even parties! Although we’re pretty proud of our collection, not everyone is content to just look! Our showings and events can include other hands-on activities like butterfly pining classes, owl pellet dissection, worm composting classes, and more. Contact us to schedule a showing or learn about upcoming events. It takes a lot of time, money, resources, and space to continue a project like ours. We rely on the support of our viewers to help keep our dream alive. Any contribution to our cause would be greatly appreciated. Please visit our volunteer/donation page to learn more about how you can get involved.